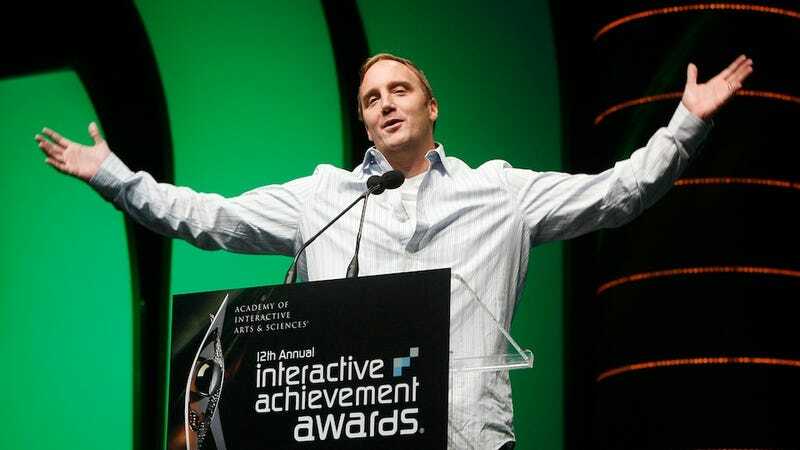 Comedian Jay Mohr won't be hosting the annual video game awards show at the D.I.C.E. Summit in Las Vegas this year. He's hosted the awards every year since 2006, merrily insulting part of his audience full of gaming industry professionals and snarking about video games for over half a decade. The new host will be Nerdist's and Talking Dead's Chris Hardwick. The D.I.C.E. awards were usually not televised or aired online, allowing Mohr to work a little more blue than the hosts of Spike's Video Game Awards. He gleefully mocked the lack of diversity in his game industry audience and skewered games with glee. In 2009, on Richard Garriott: "That guy used 30 million to launch himself into space. Maybe he should have used that to launch 'Tabula Rasa.'" On the DIY LittleBigPlanet that same year: "It's like buying a CD, plugging it in, and then having to go buy all the instruments." In 2011: "This has been an amazing year for technological advancements. The Xbox 360 had Kinect. The PS3 had the Move and the geniuses at Nintendo introduced a red one. Come on, Nintendo. Try!" Mohr has also hosted events at Blizzcon in recent years. No word on whether that gig will continue. The Hardwick-hosted awards, called the D.I.C.E. Awards this year instead of the Interactive Achievement Awards, will be held on Thursday, Feb. 7 at 10:30pm ET, from the Hard Rock Hotel & Casino and will be livestreamed on Machinima's YouTube channel through a partnership with Variety. UPDATE: Here's the full list. We'll be covering the D.I.C.E. Summit next month. It's a small show mostly for captains of the gaming industry, and tends to be more of a forum for brainy talks than for game announcements. Plus: Gabe Newell will be going into the summit's Hall of Fame. Not bad! Top photo: Jay Mohr at the AIAS Awards in 2009, Ethan Miller, Getty Images.